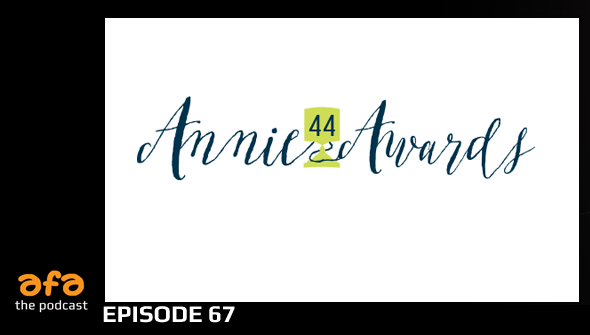 This week on The AFA Podcast your hosts Rachael and Dan are here to talk about the 44th Annual Annie Awards. Kicking off with a discussion of the event itself and the winners and nominees, we talk about one of the biggest events in the animation calendar! Then it's time for our regular Watercooler discussion, which this week includes (spoiler-free) talk about Lego Batman, (0:38) plus eagerly awaited PS4 game The Last Guardian (0:55).